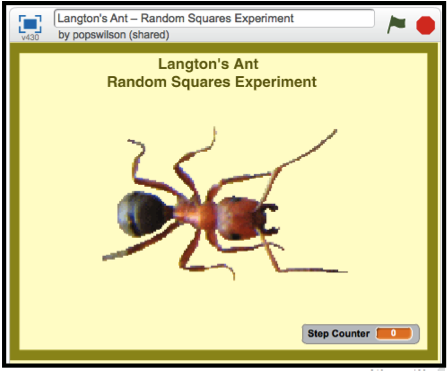 I have one more Langton's Ant in Scratch project to share. With the exception of experiments involving probability, one doesn’t usually associate the word experiment with mathematics. Although the behavior of Langton's Ant is clearly determined by its rules, its behavior is unpredictable! 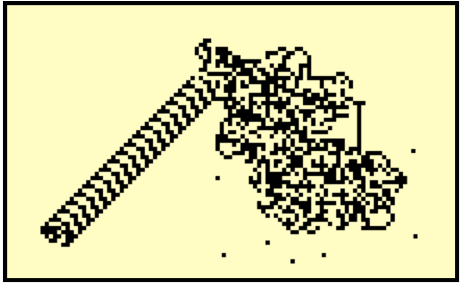 For that reason, the ant is a mathematical system that lends itself to experimentation. 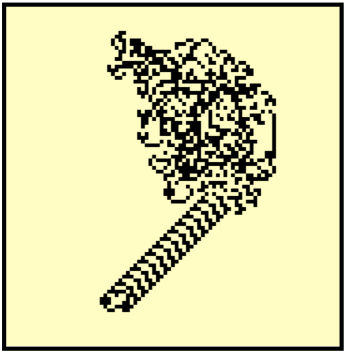 This project lets you explore for yourself what happens if random square are distributed on the coordinate plane. To start the project, click on the green flag. The ant shrinks to the size of one of the squares that make up the grid, ten additional black squares are randomly placed within a 100-step square centered on the origin (0, 0). Langton's Ant, starting at the origin and facing to the right, starts moving as shown in the following diagram. 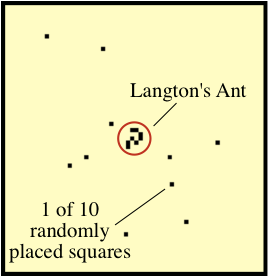 The diagram below shows the normal behavior of Langton's Ant when no black squares are randomly added to the plane. This is the control pattern for experiments. This diagram shows the path of the ant when ten black squares have been randomly added to the plane. Note its differences from the control pattern. This project can be viewed and downloaded by clicking on this link. 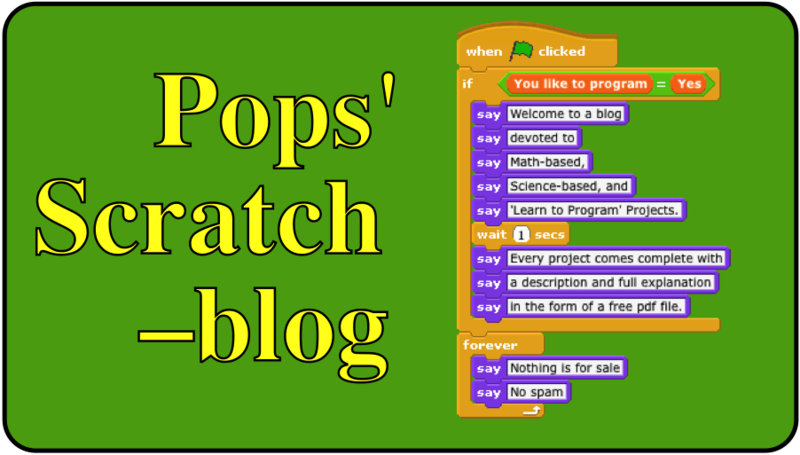 I have written a detailed description of the Scratch code and ideas for experiments you can do with the ant. To request your free PDF, send an email to grandadscience@gmail.com. For a deeper description of Langton's Ant and why it's an important mathematical system, download and read the following article by Ian Stewart.